What would you give to make good on the sins of your past? For merchant Barnabas McDoon, the answer is: everything. 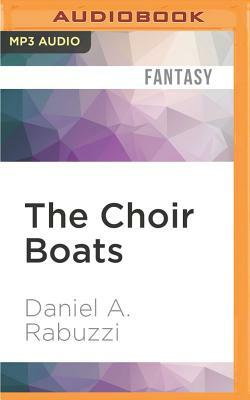 When emissaries from a world called Yount offer Barnabas a chance to redeem himself, he accepts their price to voyage to Yount with the key that only he can use to unlock the door to their prison. But bleak forces seek to stop him: Yount's jailer, a once-human wizard who craves his own salvation, kidnaps Barnabas's nephew. A fallen angel, a monstrous owl with eyes of fire, will unleash Hell if Yount is freed. And, meanwhile, Barnabas's niece, Sally, and a mysterious pauper named Maggie seek with dream-songs to wake the sleeping goddess who may be the only hope for Yount and Earth alike.